One of the memories from my childhood is about the library period we had in junior school. Every week, during a stipulated period lasting 40 minutes, we would discuss books we had read, or were tasked to read, that month. For me, the highlight used to be at the end of the period, when books were lent out, according to roll number. Since our roll numbers were alphabetically arranged according to our surnames, in a class of 35 boys, I would usually be the 30th one to pick a book, mostly stuff no one wanted to read. While I was disappointed with the rather limited choice, it did introduce (and re-introduce) me to certain authors - Mark Twain's writings outside of Tom Sawyer, Isaac Asimov (whom my teachers had the foresight to introduce at that stage), Arthur C Clarke and PG Wodehouse. This also led me to experiment with various genres right through my growing up years, courtesy of libraries. The daily grind of working life ensured I was starved of books, reading only stuff I could beg, borrow or buy (both in physical and electronic forms). But this month, Amazon finally launched the Kindle Unlimited service. For Rs 199 a month, I could have access to all that I could read; the caveat was one could "borrow" only 10 books at a time. Since the first month's subscription was available at a discounted Rs 99 (the offer stands till September 30), this was a no-brainer. Subscription in place, I eagerly reached for a Kindle Paperwhite 3G, looking to read the final part of Amitav Ghosh's Ibis trilogy. No sir, it wasn't available. In fact, quite a few of this season's popular titles were missing. I was heartbroken to find that many titles I had picked up over the past few months at discount sales, were there for the taking. I should have saved up for Ghosh's Flood of Fire. 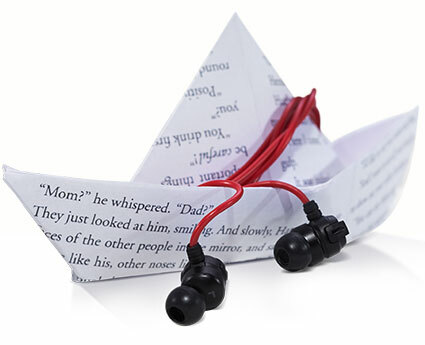 The service has all the popular Kindle features such as Whispersync, X-Ray and customer reviews. I borrowed the popular indie bestseller, Wired by Douglas E. Richards and was hooked enough to try reading it across devices (you can read across six devices or apps) - from the Paperwhite to the Kindle app on my iPad. In fact, the addition of the "Book Browser" tab in the Kindle app is a winner - it gives one access to all the titles (Amazon claims there are over a million) Kindle Unlimited has to offer. A caveat: All borrowed titles are deleted the moment you cancel a subscription. And the service is heavily populated by Amazon's own titles and self-published novels. The Kindle Unlimited service has its competitors, most notably Scribd, which a friend swears by. Also, many big publishers and popular authors are missing from the list. But if you want to dip your fingers in certain stuff you normally won't buy to read, or like non-fiction a lot, this is a nice sampler. You don't need to own a Kindle device to enjoy Kindle Unlimited. 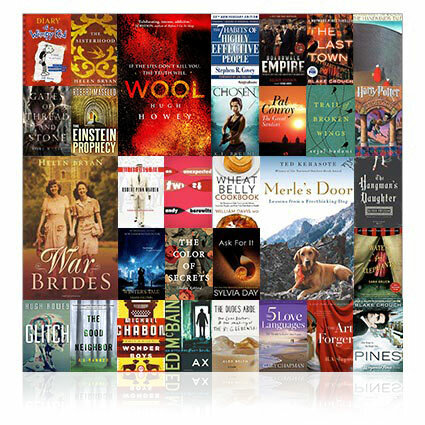 With our free Kindle Reading apps, you can read on any device with the Kindle app installed. And of course, you can always read on your Kindle. 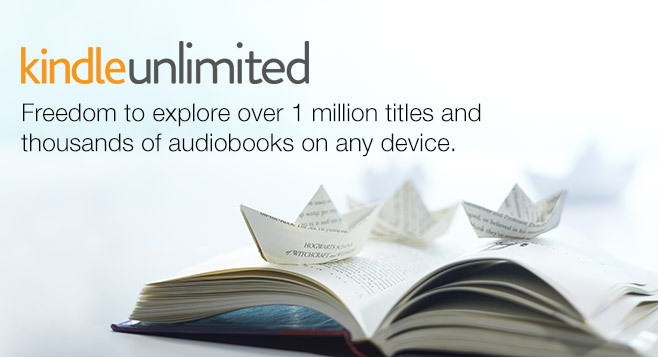 With Kindle Unlimited, you can take every word, every sentence, every story, everywhere you go.